It was my sixth visit to this popular weekend. We’ve been privileged to see a lot of good horses here over the years: Istabraq, Limestone Lad, Champagne Fever and Jezki to name just a few. 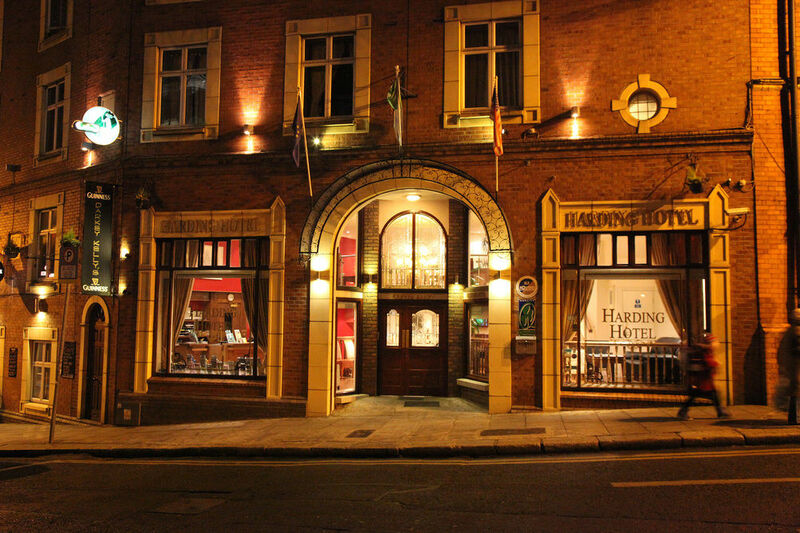 By the time I'd checked into our hotel (The Harding) on Friday my fellow racegoers had already made the short walk to Temple Bar to take advantage of the oyster happy-hour (17:00-18:00) at Klaw, a crabshack on Crown Alley. I joined them at 18:15 and as I'd missed the (apparently) outstanding value we walked on to the Porterhouse for some decent supper washed down with their trademark oyster porter. It was an early start on Saturday with an eight-race card starting at 11:55. It looked a rather prosaic affair compared to the delights we anticipated on Sunday. Nevertheless there were plenty of betting opportunities. The train from Connolly station takes you to M3 Parkway (change at Clonsilla) from where the complimentary racecourse bus travels the remaining seven miles to the track. We arrived a few minutes before the first. It was a chilly overcast day - actually nearly dark at midday. I backed a couple of winners (7/2 and 4/1) but because of the volume of racing/betting it was a losing day for me. 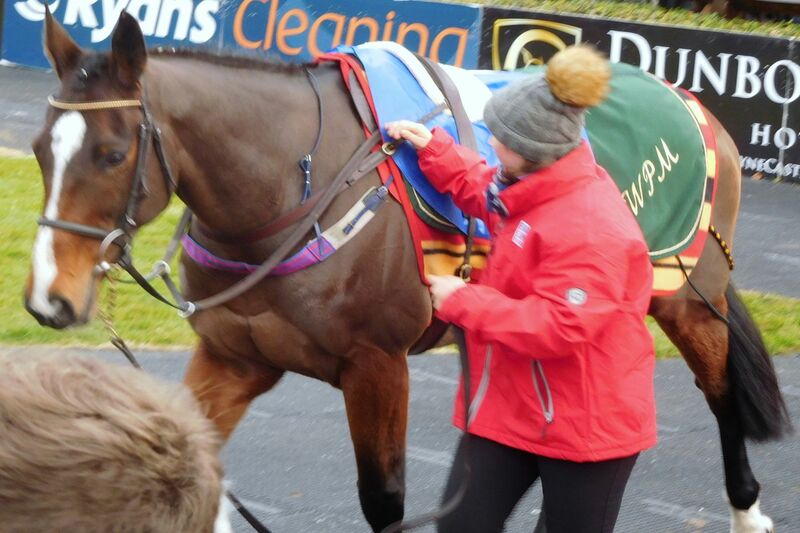 The only impressive winner was the heavily backed Bon Papa (1/2) for Willie Mullins in the concluding bumper. Saturday night was heaving in the city and we struggled to find a restaurant to accommodate four weary racegoers. Eventually we stumbled on Pho Ta, a Vietnamese place in Temple Bar. Several free tables, which was a concern, but with Tripadvisor accolades in the window! It turned out to be terrific and not expensive by Dublin standards: around six euro for starters and 11 euro for main courses. Highly recommended. 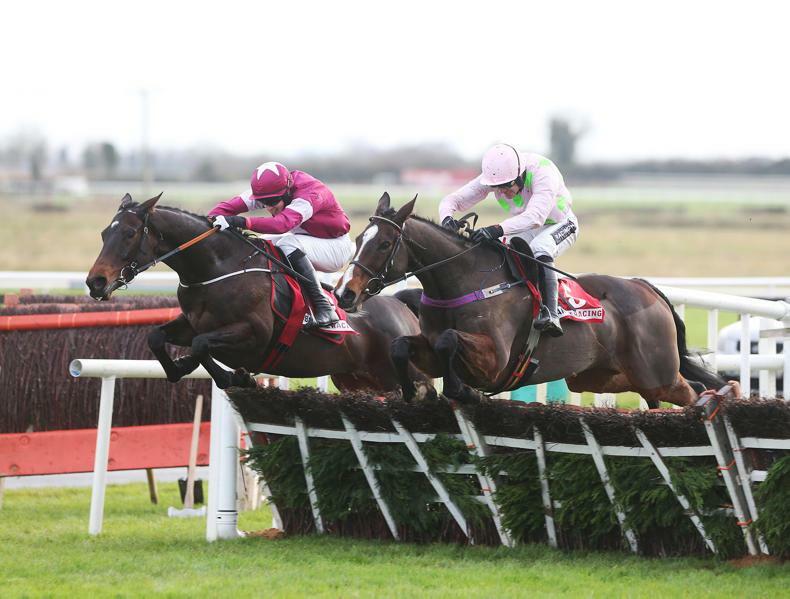 On Sunday a seven-race card awaited featuring six graded races of which three were grade one. Travel did not go as smoothly as Saturday however. The first race was 12:40 and rather than catch the 10:37 from Connolly - which would have meant being on course 70 minutes before the first - we sacrificed the opener taking the next train and arriving at M3 Parkway at 12:30. No racecourse bus! No taxi-rank, no taxis. Not even a sign advertising taxis! We were stranded, along with half-a-dozen other racegoers (one of whom had travelled from Limerick). Fortunately there was a mobile signal and we were quickly in touch with the racecourse. We were informed they had "taken a decision" not to meet the 12:30 train. After several phone calls they eventually agreed to send transport out for us. We watched the second race on a mobile phone. To rub salt into the wound my selection, Labaik, refused to race. After remonstrating with the racecourse office we were promised free entry to a future fixture if we provided our email addresses. No-one had been in touch at the time of writing. Our mood was lifted by the third race. This featured the versatile mare Vroum Vroum Mag seeking her 11th consecutive win. We had made a strong case for Apple's Jade, even convincing our fellow strandees that Apple could turnover the Mullins' hot-pot. How wonderful to be proved right if only by a short-head! This is why we come racing (if we can get there) to live moments like this. The next race, a tricky17-runner handicap, was full of incidents. I got lucky having backed three outsiders at tote odds including the winner, Waxies Dargle (16/1, tote 21.50).The favourite was three lengths clear at the last when falling. As Barry Geraghty got to his feet unscathed spontaneous applause broke out - which was lovely to hear as many punters would have been on the jolly. 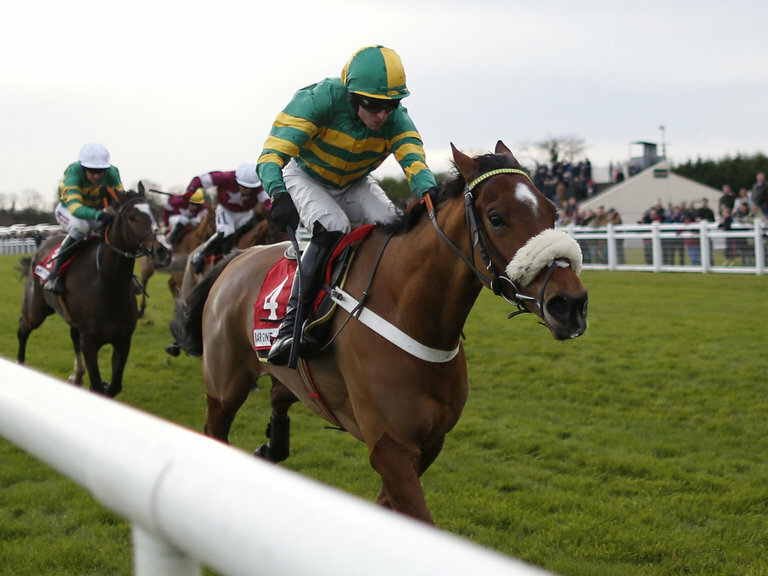 The seven-runner Drinmore featured four in Gigginstown colours and two in the green and gold of JP. I watched the market carefully for a steer. Coney Island was backed from 10/1 to 7/1 so I stepped in near the off with a tote wager hoping to beat the SP. However the winner paid a disappointing 8.40 on the tote having returned 8/1. Mullins took the last-race bumper again, this time with the hugely impressive 12-length winner Getabird, now a strong contender for the Cheltenham Bumper.